unless such copying is expressly permitted by federal copyright law. Instrumentals showcasing the Accordion and Melodica. Please note: Of the 12 tracks, 8 are Songs and 4 are Instrumentals. * Authored by © Marion Lightly, Arranged and Produced by Loren Bagelman, IshdafishMusic. 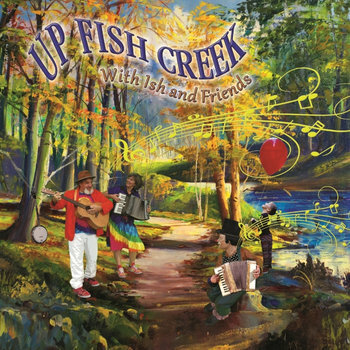 The title track and, the first to discover is an up-tempo accordion driven Instrumental, that's an eclectic mix of Louisiana Swing and Celtic based influences. So set your imagination free and join us in a fun-filled parade, as we take you on an unforgettable trip, Up Fish Creek. I woke up this morning only to find that I was another day older, and wiser in mind. There's one thing I do believe, that I have come to understand. Give me a good clean place, a good place for you and me. I'm looking for a good clean place. Now who is Mankind fooling, as we rush off to the moon? So people please hear me, hear me as I say. Let's talk about this issue in a positive way. Would I be a doctor, a lawyer or a policeman? There could be magic in the air. They’re our legacy; they mean so much to me.